Central Division – Which Sticks Do The Superstars Use? The NHL’s Central Division is chalked full of snipers, danglers and saucers — that’s why many consider it the deepest division in professional sports. What is the weapon of choice for the league’s superstars who reside in this collection of seven teams? In this series, we’ll explore all four divisions of the NHL and see what the superstars are using to snipe corners, move past defenders and set up their teammates to open the 2018-19 campaign. It just makes sense to start in the Central, where some truly dynamite players battle it out on a regular basis. Filip Forsberg, Nashville Predators — Last year’s leader in primary assists per 60 minutes 5v5 brings a truly remarkable game to the Nashville lineup. Best playmaker in the league? The argument could certainly be made. CCM’s campaign around the Ribcor Trigger 3D PMT is Create New Goals. 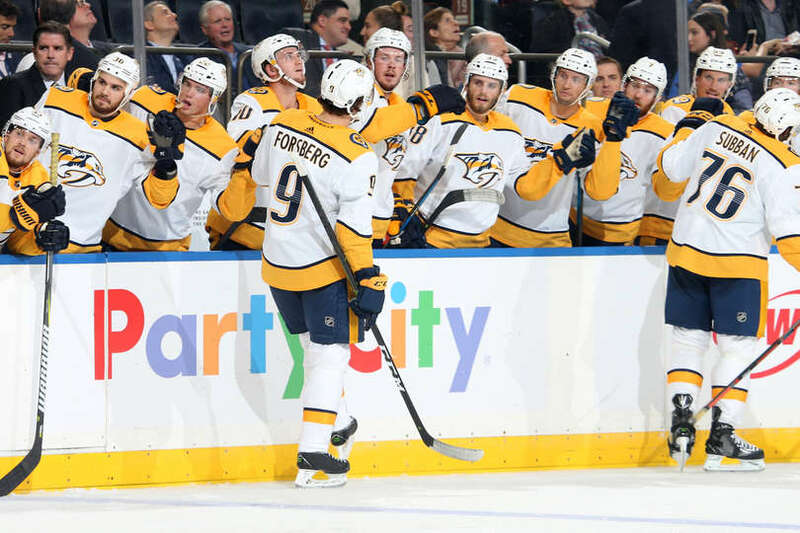 Although this is mostly meant for it’s redesigned Pop-Matrix technology and optimized low kick point to power shots past the goaltender, obviously, Forsberg has found a different way to utilize the perks of CCM’s latest twig. His pinpoint and crisp passing has allowed him to become a premiere player in a tough Central Division. 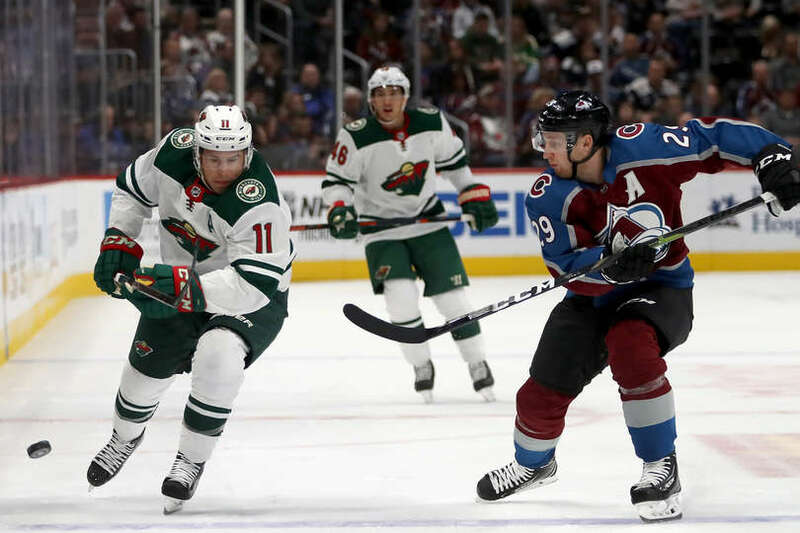 Nathan MacKinnon, Colorado Avalanche — When reading the description for what the Ribcor Trigger 3D PMT brings to the table, MacKinnon is the go-to player who will benefit from its advances. Quick shot release became MacKinnon’s trademark when he pulverized opposing teams for a career-high 39 goals last season. Look for MacKinnon to continue this trend in 2018-19, as he leads an Avalanche team looking to build off a second wild-card finish from a season ago. Vladimir Tarasenko, St. Louis Blues — A 40-goal scorer in 2015-16, Tarasenko hones some of the quickest hands in the NHL today. There’s a multitude of talent coming from the Russian right winger, as he can beat you with a quick flick of the wrists or a dangle that nobody, especially the opposing netminder, saw coming. Tarasenko possesses an insanely quick snap shot and an overpowering, yet deceptive, bomb of a slap shot. Although this is attributed greatly to his tireless efforts to improve his game off the ice, the Trigger 3D PMT adds just that little bit to his abilities. 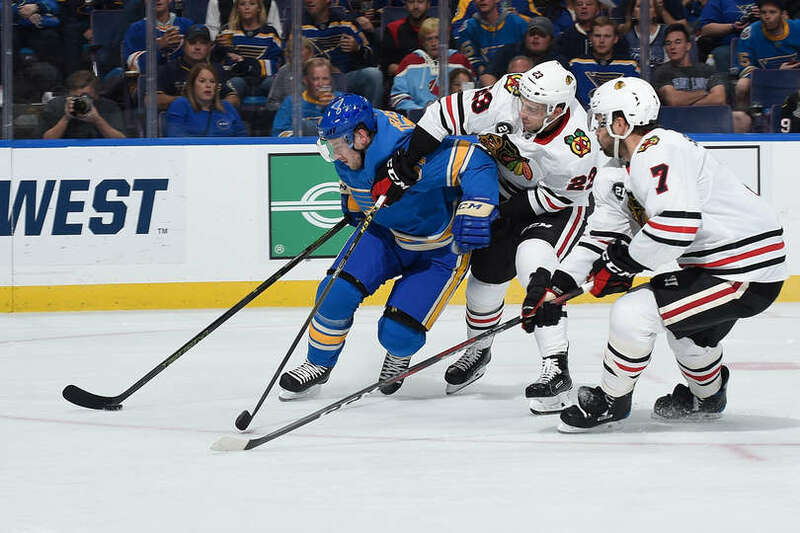 Quick and easy loading from shaft to blade creates a seemless energy transfer to allow Tarasenko to pick corners as quickly as possible. Charlie Coyle, Minnesota Wild — The Boston University and Massachusetts hockey product plays a game style that requires a sturdy stick that will take hacks, whacks and, yes, even slams into the boards. Coyle is a front-of-net presence who is always there to pounce on rebounds and deflect point shots. The JetStream blade uncludes dampening layer technology so Coyle can get a nice feel for the puck, while Sigmatex fabric development creates a strong, high-tension weaving process. This allows the stick to always be in tension, which is great for shot release, but also extremely durable, allowing punishment to come from all angles without worry of the stick’s integrity being compromised. 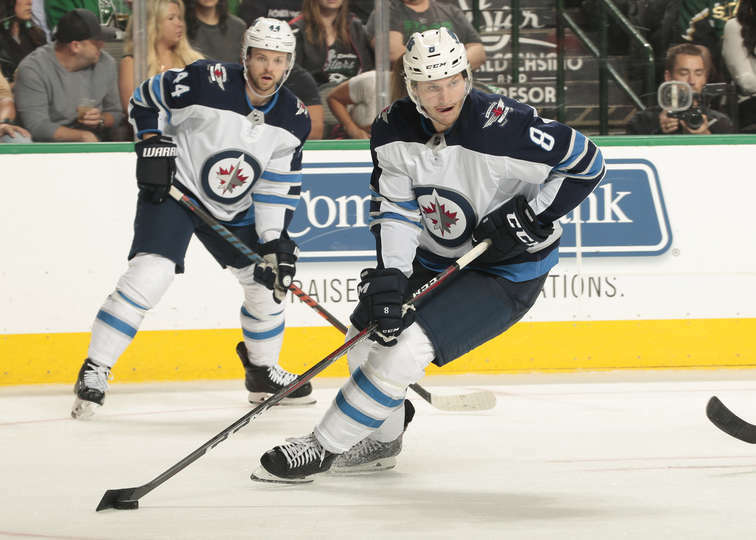 Jacob Trouba, Winnipeg Jets — Sigmatex technology not only helps players who are seeking to wreak havoc in front of the opposing team’s net, but also their own. Trouba, a towering defenseman with a slight nastiness in front of his net, needs a stick that can not only withstand punishment from net battles, but allows him excellent feel for quick shooting from the point. Trouba is a mobile defenseman who joins the rush, and that often leads to booming slap shots or quick wristers. The JetSpeed’s hybrid kick point allows for a hinge effect for unbelievable power and control. The softer taper increases shot speed, allowing Trouba to overpower goalies with shots that seem to come out of nowhere. 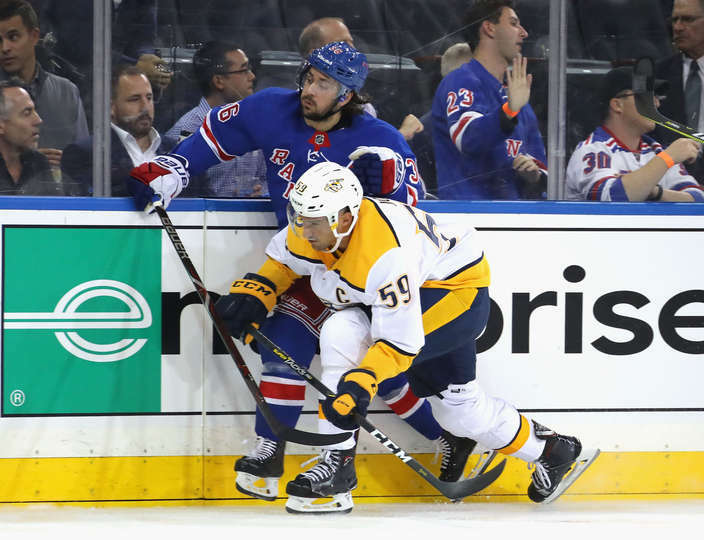 Roman Josi, Nashville Predators — The term beast comes to mind when thinking about the Predators’ captain. The same can be said for the piece of lumber he carries every game: the CCM Super Tacks AS1. Josi stands at an average 6’1″ height, but plays a much bigger game than that. He takes opponents out of the play with the best of them and has a powerful point shot to boot. He requires a stick that provides maximum velocity while maintaining integrity, even after a few retaliation slashes in front of his net. The max-loading, mid kick point takes care of the shot with a soft mid-section to increase stored energy when stick meets puck and a stiff taper creates stability in the shot. X-Flow technology allows Josi to put plenty of tension on his stick, due to an advanced, optimized molding process that creates improved compaction of fibers for a strong stick. 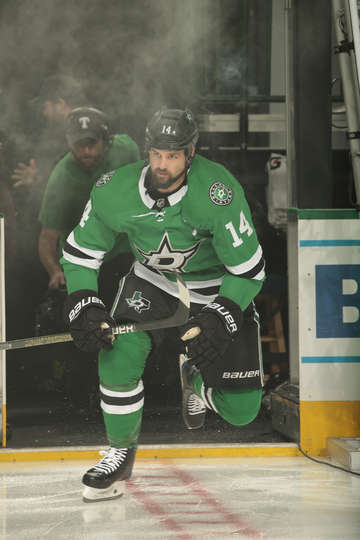 Alexander Radulov, Dallas Stars — Radulov, a similar build to Josi, also requires a sturdy stick as he is a forward willing to go through the difficult areas of the ice. Oftentimes, Radulov can be seen working through defensemen with his moves, rather than around them. But what looks like strength is lightness. The X-Flow technology not only makes the stick stronger, but way more lightweight, allowing players to easily feel the weight of the puck on their blades, while remaining light enough for those not-so-oft-attempted one-handed dekes. Radulov has visible skill with the puck, and it’s no secret he requires a stick that allows him to play his game. 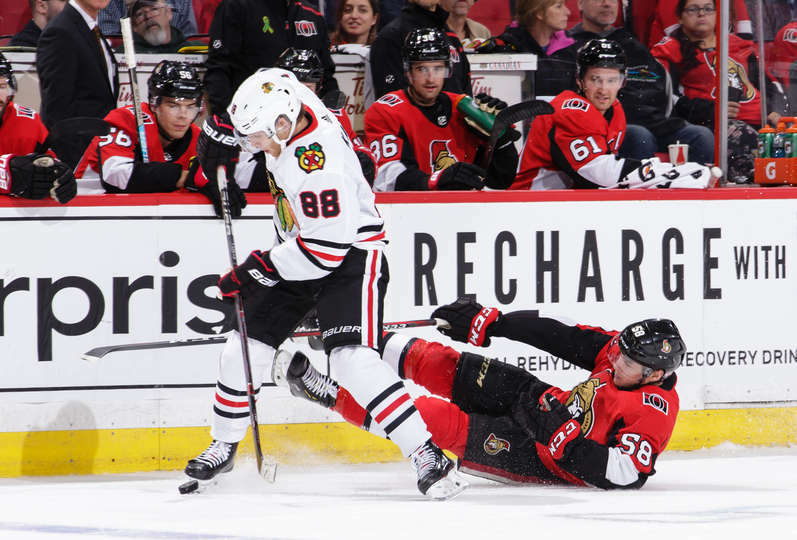 Patrick Kane, Chicago Blackhawks — The elite of the elite in the Central Division starts and ends with Chicago’s dynasty. The Blackhawks, three-time Stanley Cup winners since 2010, may have missed out on the 2018 postseason, but they still boast some of the most talented forwards in the league. Look no further than the sniper on right wing, Patrick Kane. Kane’s shot release should be illegal this side of the Atlantic Ocean, due to its velocity and accuracy. The 1X Lite utilizes ACL technology, which provides less weight and more pop. By cutting the weight down in the taper recoil, the snap of the shot comes with even faster velocity (11%, to be exact), allowing players like Kane to choose which corner to target before the goalie can even realize who has the puck. 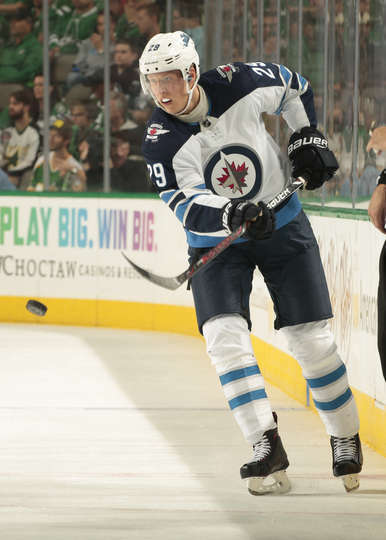 Patrik Laine, Winnipeg Jets — Arguably the premiere sniper in the entire league, Laine mirrors Kane in his ability to rocket pucks to the net with power, precision and unprecedented authority. Laine’s accuracy, which was on display with all of his league-leading 20 power-play goals last season, is certainly attributed to his work ethic, as well as the Vapor 1X Lite’s incredible blade stability. QRT+ technology is found throughout the blade, which reinforces the taper zone with extra carbon fiber layers. The whip is stronger than ever, allowing Laine to punish teams almost on queue every time a player enters the penalty box. Gabriel Landeskog, Colorado Avalanche — The Avalanche captain plays a big man’s game, entering pockets of the ice with a scrum of players and exiting with the puck on his blade. His tenacity has been the cause of opposing Central Division teams’ frustration on a nightly basis. 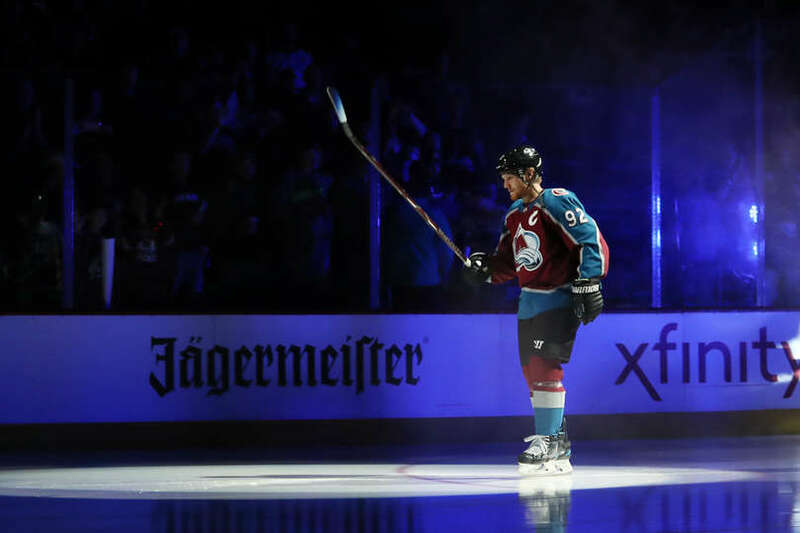 Monocomp technology found throughout the 1X Lite’s construction allows Landeskog to commit to being the lumbering forward he is without worry of his twig snapping regularly. 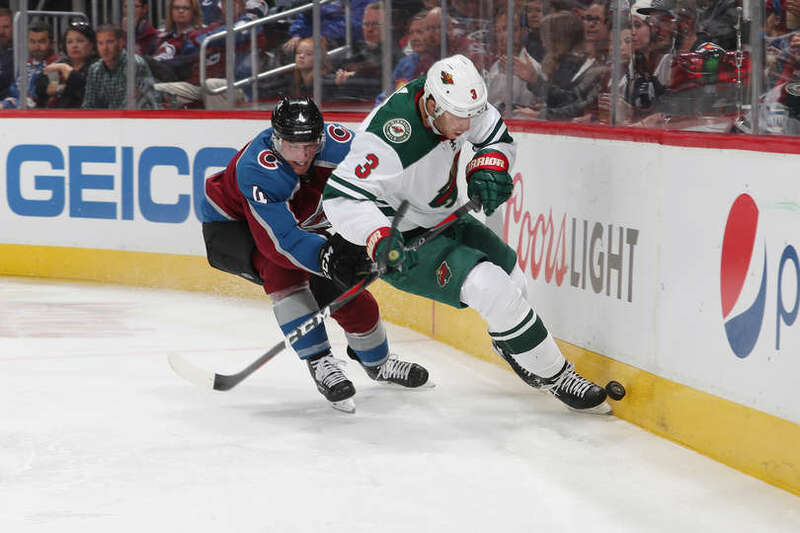 Landeskog and the Avalanche also benefit from the 1X Lite’s ACL technology because the stick remains light and balanced top to bottom in Landeskog’s hands, allowing him to find an open teammate and deliver a strong, flat pass on rushes and break-ins. Zach Parise, Minnesota Wild — Known for elite speed and quick shot releases, Parise has terrorized opposing goaltenders for over a decade. The former 45-goal scorer may be on the tail-end of his career, but he still has an extra step on many defensemen in the league. 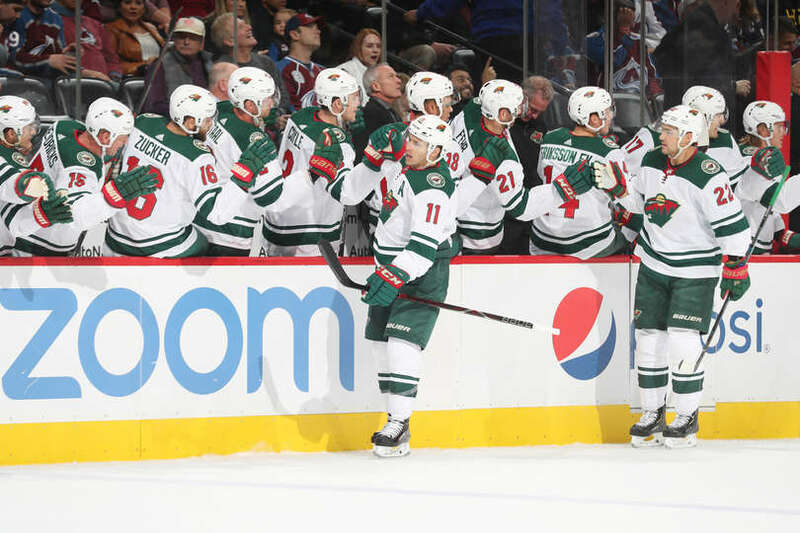 Parise’s ability to control the play may be his strongest asset, as he can dish the puck with the best players in the league. Thanks to the 1X Lite’s ACL technology, Parise can get the puck off fast, whether its to the net or to a wide-open teammate. The QRT+ technology allows him to keep the puck steady during all movement, whether he’s skating it up ice or delivering a smooth saucer pass over a defender’s sliding body. 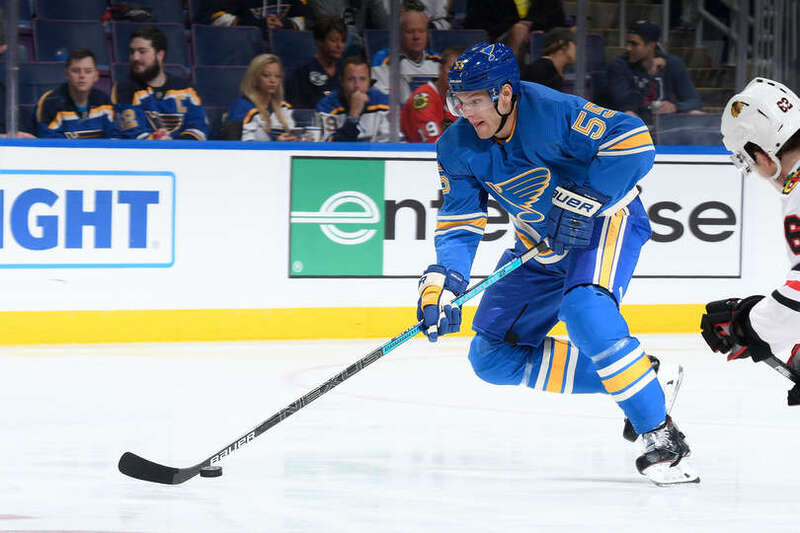 Colton Parayko, St. Louis Blues — The young Blues D core rivals that of any in the Central Division (maybe even the NHL), and that’s due in large part to the emergence of Parayko on the point. The 6-foot-6-inch, 230-pound defenseman puts a lot of weight on his stick when rocketing howitzers, so that’s why he relies on the Nexus brand to handle the workload. A dynamic resin throughout the Nexus 2N Pro focuses on both impact and flex properties, which are both necessary for powerful defensemen. Parayko not only can lean into his shot without worry, but he powers through shot blocks and any rough board play without damage getting to his stick’s shaft often. His ability to hit the net is also factored into the properties of the blade, as one of the NHL’s favorite blade cores uses lightweight foam with a dampening layer for a noticeably better puck feel. Jonathan Toews, Chicago Blackhawks — Toews may not be considered an elite sniper in the NHL, and he is ok with that. His abilities reside in his supreme puck-moving abilities, faceoff control and dominating performance in his own zone. In any game situation, Toews is relied on to perform for his team. He can say the same about his stick. The Nexus 2N Pro can take a lot of damage, as you’ve already learned, but an aspect that you may not think where that is needed is faceoffs. 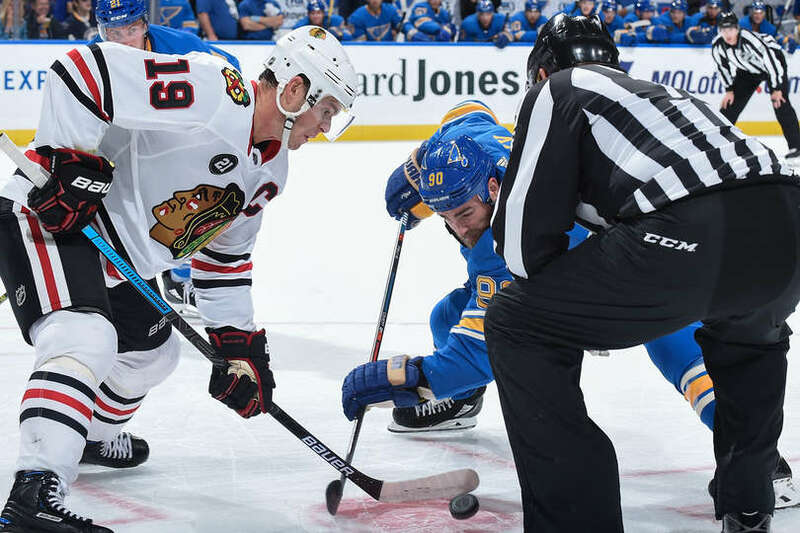 Toews is consistently one of the best in the league, and he needs his stick to be able to take on the punishment that comes with the center position. He leans to get plenty of leverage when the puck drops, plus he deals with many slashes the minute he swipes at the puck. The stick’s Sweet Spot technology also makes it easy for loading and releasing shots, which comes in handy for a skillful veteran who consistently amasses 20-30 goals per season. Jamie Benn, Dallas Stars – If you’re looking for the embodiment of taking and giving punishment in the NHL, it’s the Dallas Stars captain. Benn has been a thorn in the side of every Central Division team, as he consistently posts around 30 goals and 50-60 penalty minutes per season. Let’s not forget his 140 hits last season, which ranked second among Stars forwards last season. Thanks to eLASTech technology, Benn can grind in the corners and deliver crushing blows to opponents. This innovation stops the spread of tiny fractures throughout the stick through an elaborate process of carbon weaving. The TeXtreme is another type of carbon technology utilized in the Supreme line, which is 20% lighter than conventional carbon fiber. This improves overall stick balance for a new level of puck handling, while maintaining a sturdy structure. 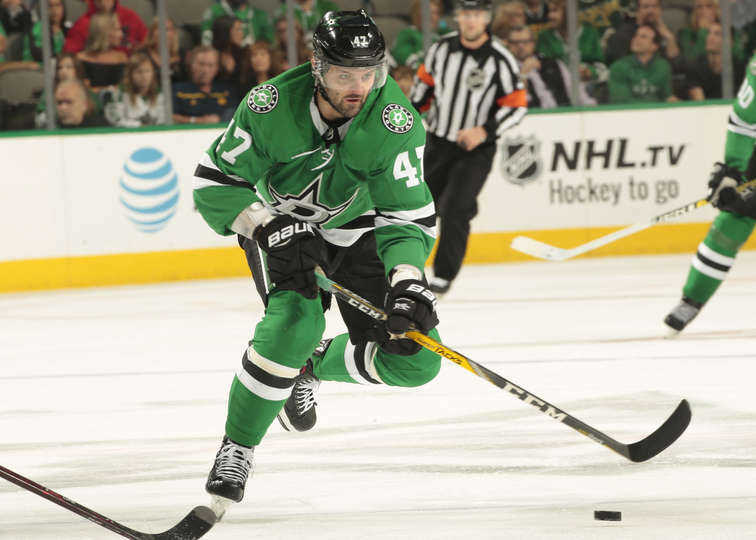 Benn is an elite shooter, commanding dangler and overall powerful NHLer. His weapon of choice has to match that intensity.